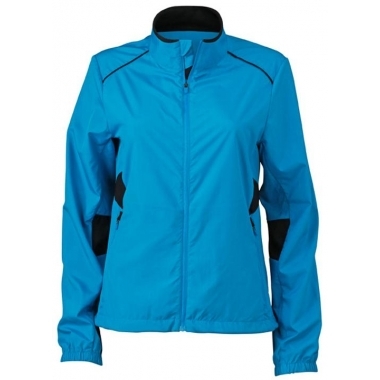 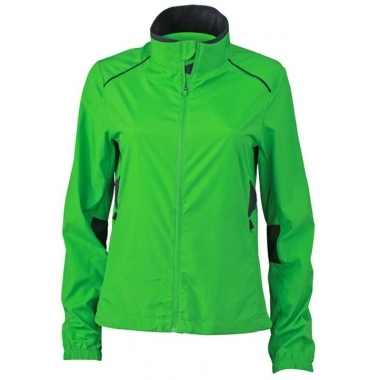 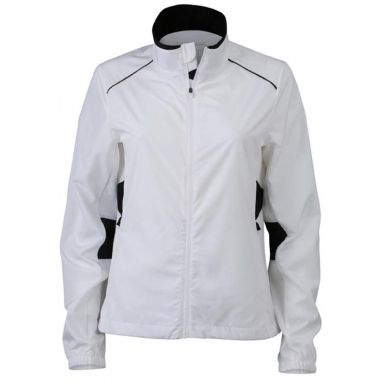 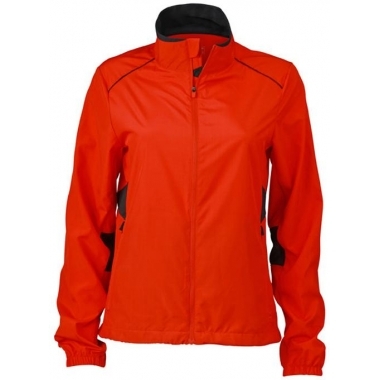 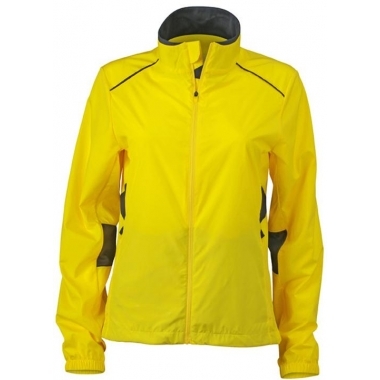 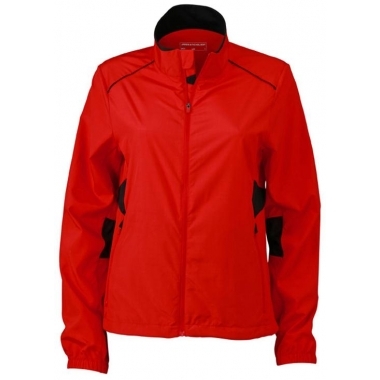 Elastic, light polyester, moisture-adjusting and fast-drying, wind- and water-repellent, breathable. 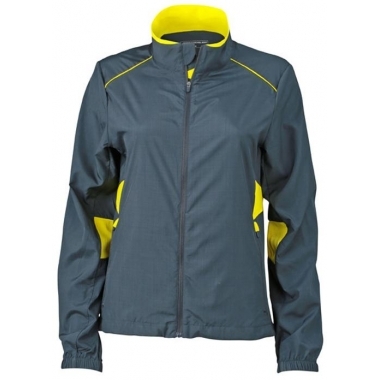 Covered zip with reflective piping and chin protection, contrasting mesh insets under the arms and at the back, 2 small side pockets. 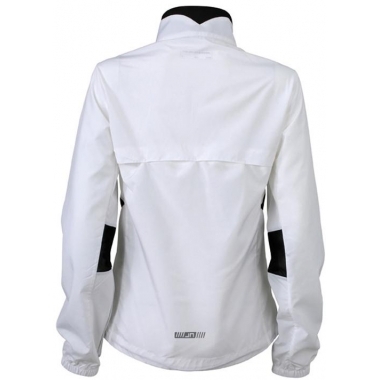 Reflective details at the front, back and on the sleeves, elastic bands on hem and sleeves, slightly waisted.